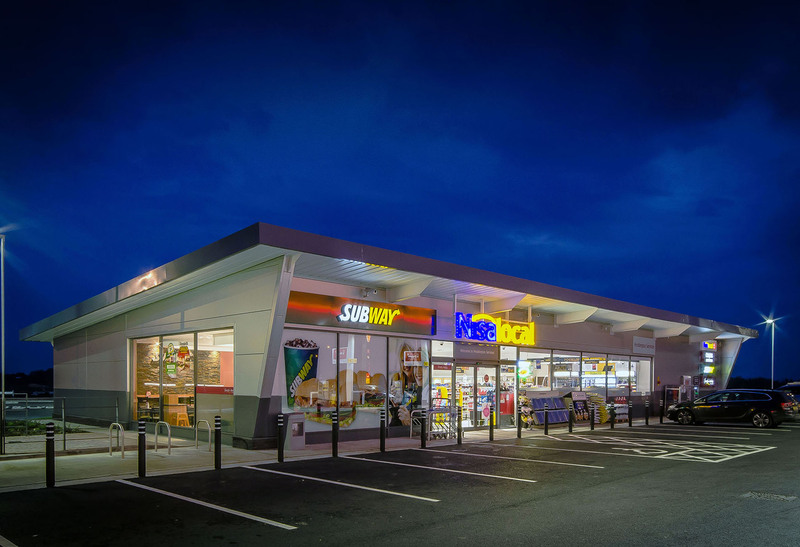 Following the successful refurbishment of Tickled Trout services BP in Preston, Gamma was again appointed to design a lighting scheme for a new service station at Pocklington. 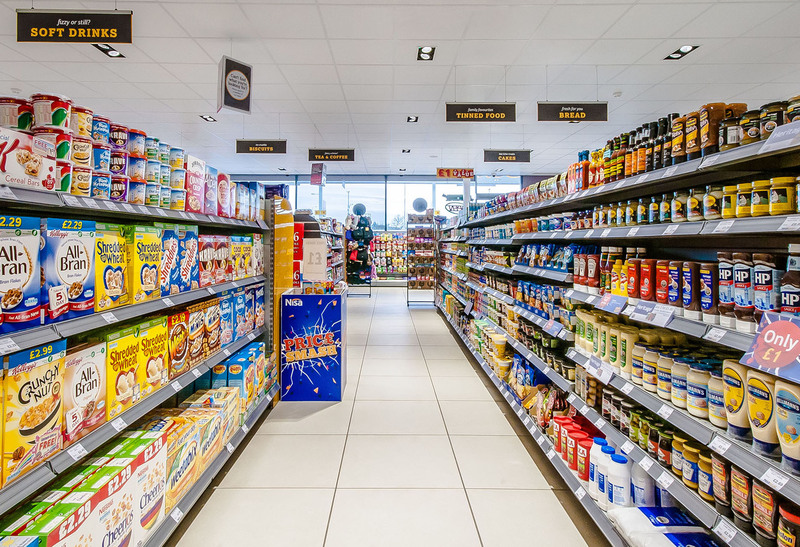 This was part of a multi-million pound investment in the town which also included a pub and restaurant. 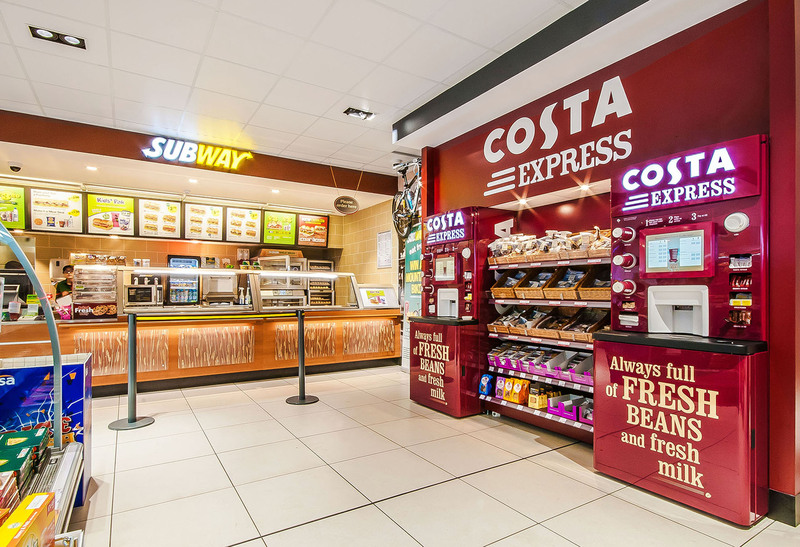 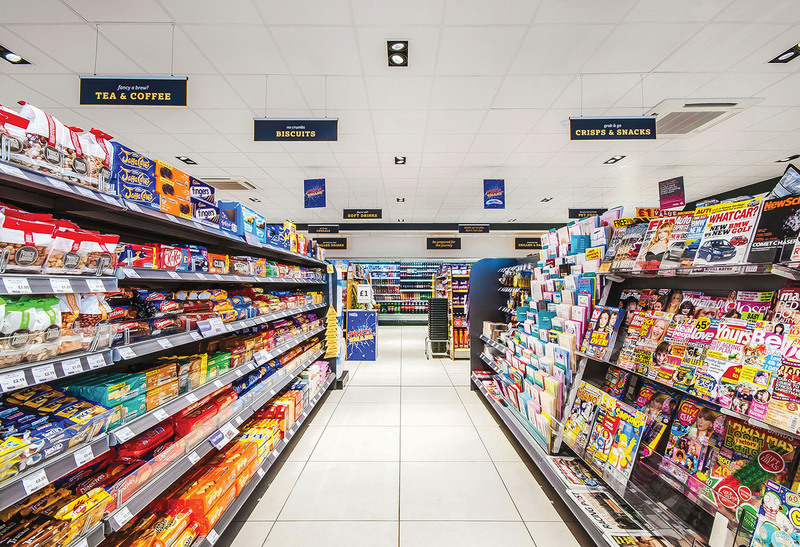 The internal retail space at the service station comprised a Nisa Local, Costa, Subway and Fresh Bake café. 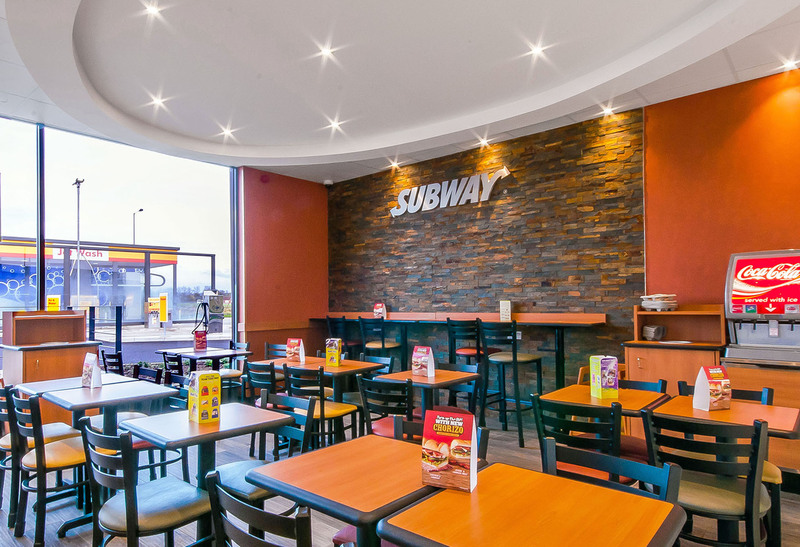 Single and twin LED framelights were the chosen solution for both ambient and display lighting, whilst the coordinated Great White TTT LED downlight complemented the scheme in the Subway, Costa and Fresh Bake café areas. 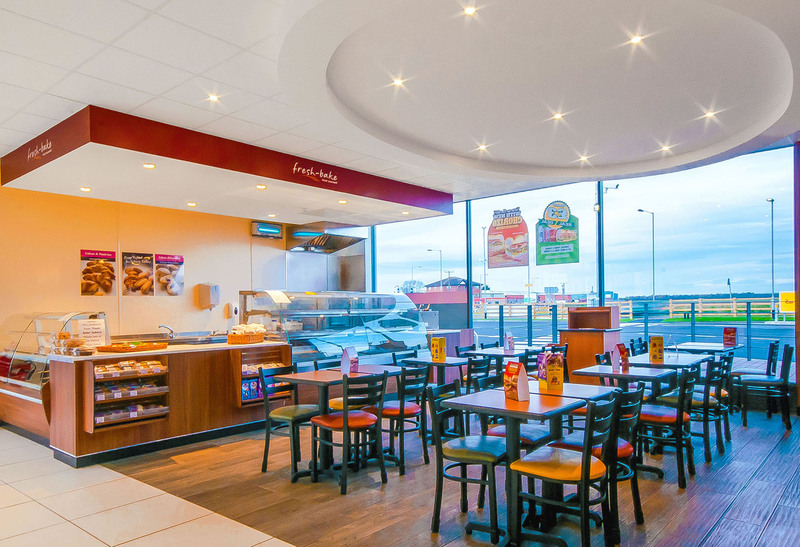 In addition, white Syncro FC LED spotlights adorn the stylish dropped ceiling in the café and used to highlight the textured feature wall. 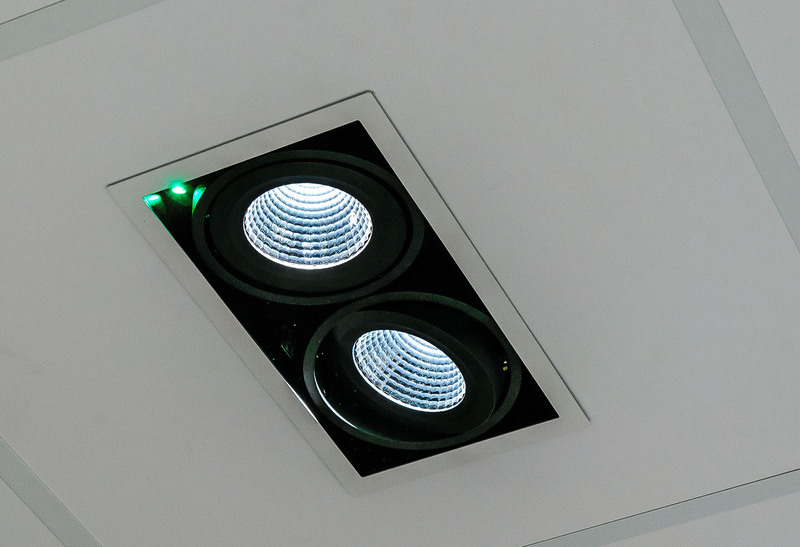 The framelights also provided the discreet integral LED emergency solution in order to comply with regulations without compromising on style.